First change is that i have done back over to the Darkside. 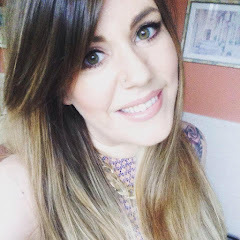 As my blog name suggests i am a Brunette through and through, HOWEVER, recently i have been experimenting with ombre, followed by mahogany, then back to ombre again (confused?? Yeah i was as well). In the end one just has to draw a line and say ENOUGH!! So i have returned to what i know best which is my medium/dark chocolate brown. It's a huge relief to have hair extensions that match again. My clip ins now blend perfectly once more and, although my 16" Halo Hair Halo is still dyed mahogany, a box of dye is all that is needed to rectify that. Although my natural hair has grown so MUCH that my hair at the front is beginning to overtake the Halo so i fear i may have to write it off and purchase a longer one!! SECOND change, and one which i have been building up to for some time now, is that i now have METAL in my face!! I've been deliberating on Twitter for a few weeks whether or not now was the time to finally go for it and get the nose piercing that i have wanted on and off since i was a teenager. In the end the verdict was almost a unanimous GO FOR IT!! So guess what..... I DID IT YESTERDAY!! And i am so pleased with it! I removed my tongue piercing several months ago, after 12yrs together, as i just felt like it was time to get rid of it. I don't think it's becoming of a (nearly) 30yr old to be having metal in their mouth. Plus i suspect i chipped a tooth on it, which finally persuaded me to part with it. I did miss it for a little while, and i did feel like i was lacking something as a result, but i'm over the moon with my nose stud. Much more grown up. It's pretty basic, but eventually i'd love a diamond/gold stud in it (better save the pennies). THIRD change is that i have FINALLY embraced Gel eyeliner. And it's a massive HIT!! Why didn't one of you force me to try it sooner?? Yeah i've read and seen photos of you beautiful ladies wearing your MAC Blacktrack and your Inglot Gel Liner and thought you all looked FABULOUS, but it never inspired me to stop buying lippy and focus on my waterline. Well NO MORE cos i've got it and it has completely revolutionised how i do my eye makeup! Also, when my hair is darker i seem to make a bigger deal of my eyeliner. So while i was at it with the photos for this post i decided to do a little FOTN (from last night when i went out to show off my new piercing) to go with it. I'd like to make it known that i HATE Rimmel 'Wake me Up'. I do NOT have spot prone skin but this never fails to break me out. I don't find it lasts well AT ALL (patchy is an understatement), and it is only when i use it with my BeneFit primer that i like the finish. It actually looks a lot better on these photos (with flash, would you believe) than i think it does in natural light. But i would NOT recommend it to anyone. I know there are those who love it, and each to their own, but i also know a lot who feel the same as i do about it. I'm only still using it as i do not believe in wasting makeup. So i hope you didn't mind too much reading my waffle about my new discoveries. I've been so excited about it and had to do a little squealy post to mark the occasion. What have you done to reinvent yourself lately? ?